Completely non-invasive scans that require no wearable sensors to capture human movement data. We dramatically increase user engagement by minifying the effort required on their part. 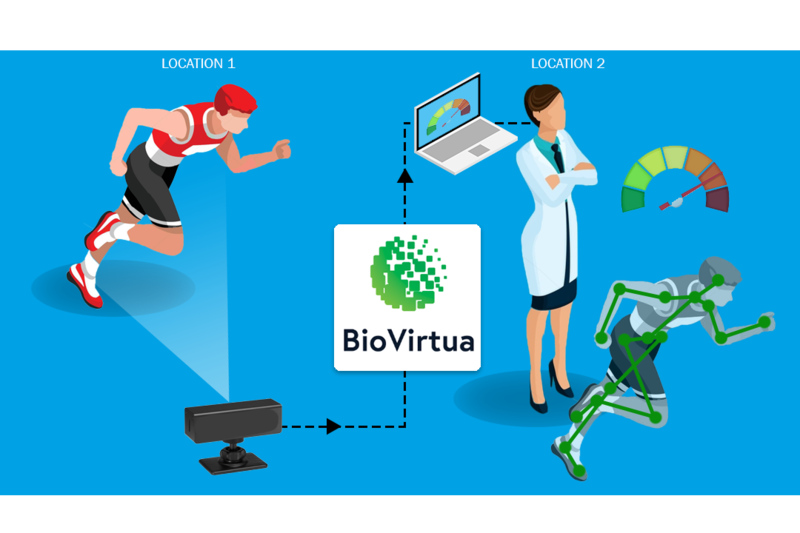 Biovirtua scans are securely pushed into your patient’s medical chart, so they are there when you need them. 9There is no goniometer for telehealth, and “eyeballing” patients via 2d skype-like conversations doesn’t make sense. We scan and collect patient range of motion and velocity, no gonio required. Biovirtua provides accurate data of the coronal, transverse and sagittal plane with the click of a button. You can analyze a static posture or take your patient or client through postural training with this system. Real-Time biomechanical data of the coronal and transverse planes for complex movements such as a squat, sit-to-stand, or other quality of life and functional movements with a single front-facing camera. How we make that happen?